Ratchet Lashing – FERRETERRO INDIA PVT. LTD. The Ratchet Lashing system is used for securing cargo while transporting, shifting or storage. It is a modern, light weight and thoroughly reliable method of securing all types of load across an entire spectrum of requirements. It offers significant advantages over any other securing system. 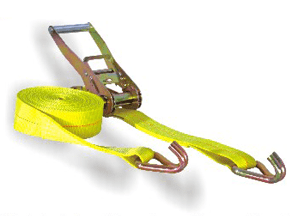 Ratchet Lashing is a Reusable, Cost effective tie-down using polyester webbing & Ratchet Buckle and has replaced ropes, chains and wires used for transportation.. The Ratchet Buckle provides the tensioning force. The tension is uniform and locking mechanism ensures that the tension is retained till it is unlocked. 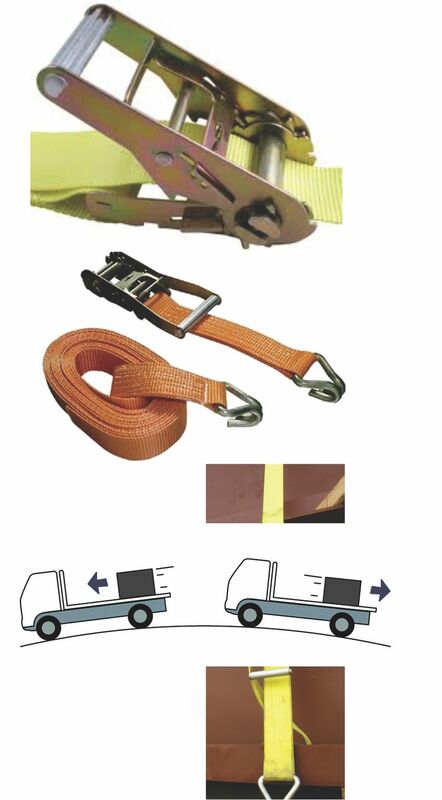 This Ensures complete locking of strap in position and also provides unlocking mechanism which is safe and fast. Polyester Webbing has the least of elongation (less than 7 %) and is soft and safe to use. High Tenacity Polyester webbing has a high resistance to abrasion – much higher than its polypropylene / Nylon equivalent. No hidden corrosion – can be easily checked by eye for damage. Supple – can adapt to fit the load easily thereby reducing the chances of damage. Easy and quick to use, saving time and thus saving costs. 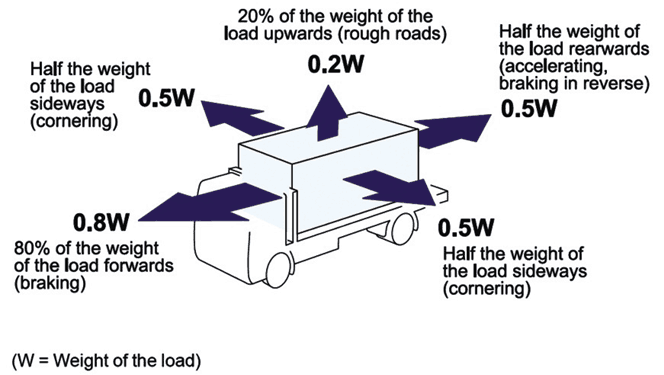 Having first selected the appropriate Minimum Break Strength, the lashing format must next be considered. Here, there are two options:Two-Part or Endless, with the possibility to specify the fixed and overall lengths of a Two-Part Lashing or the overall length of an Endless Lashing.